We are a full service New Construction & Remodeling Company. At Curtis White Companies, our goal is to not only help you design and build your dream home, but to make the process easy and enjoyable for you. We are a full-service design and building company with a wide range of experience. 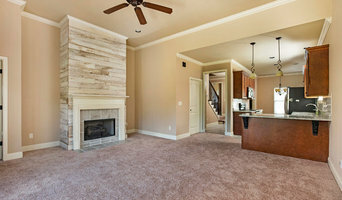 We can help you with all phases of new home construction or remodeling. 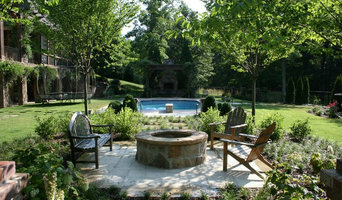 We can find suitable land, design/architecture, and even landscaping your yard. We build everything from the ground up and work with your budget. We are a 3rd generation family owned and operated business. Our excellent reputation and long list of satisfied clients attest to our superior craftsmanship, attention to detail, and clear communication throughout the entire building process. Whether you're buying or selling, we can help you each step of the way. 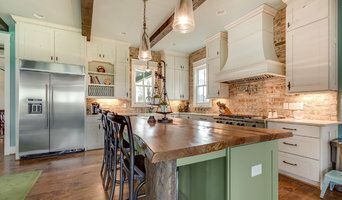 Cabinetry Refinishing & Restoration was founded by Dayton Salter in 1993 in Birmingham, AL. We pride ourselves in being a family owned and operated business that believes in old fashioned personal service and unsurpassed quality of work at very reasonable prices in every job we do. Reasons homeowners have their cabinets updated vary, some love their current cabinet structure but would just like a new door style and color change. Others want to add to or rearrange existing cabinetry. Those buying or selling an existing home also find a quick and affordable refinish to make their kitchen look exciting and decades younger. We use only the very best products available on the market, so you can rest assured you are getting a high quality and durable finish that will last, not just look good for awhile. Customers have called us artists at time and although there are touches of artistry involved in our work, craftsmen would be a better label. Designing kitchens, baths, etc. for 18 years. Even if you're the kind of person who makes everything a DIY project, there's always a point when a home remodeling or decorating project could use a professional set of eyes. 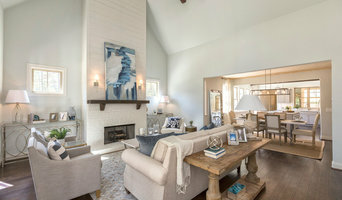 Whether you are redoing your backyard, need some help planning your living room or can't figure out where to put the kitchen sink, a quality home professional in Chelsea, AL can help you do it right. Hiring a qualified Chelsea, AL home professional puts their years of schooling, certifications, training and experience right at your fingertips. But before you start sending out dozens of emails and making phone calls, sit down and think about your project. What's your budget? What is the scope of your project? Will you need more than one type of professional to complete your home improvement project in Chelsea, AL? Can you afford to complete the full project now, or should you tackle it bit by bit? Once you've settled on your project’s priorities, budget and scope, it's time to start researching Chelsea, AL home design professionals. Don't sell yourself short and settle on the first professional you set your sights on. Make sure that you're working with someone local, who can get to the jobsite easily and efficiently. Look into the person’s reviews, ask to speak with former clients and to see previous jobs in person. Take a good look at their portfolio photos: How similar are these projects to your own? Be honest — that mansion might look beautiful, but it might not have a lot in common with your little bungalow. Reach out to multiple professionals — especially for larger projects — and don't settle for the first bid you hear. Comparing multiple Chelsea, AL professionals' bids and experiences can help you find the one that’s best for you. Ask a lot of questions now, so you won't have unexpected answers later. Find a home design professional on Houzz. Narrow down your search by type of professional and location. Browse Chelsea, AL portfolio photos, read client reviews and contact each Chelsea, AL professional for more information. Check out the information in the specialized professional sections too for tips on how to hire the right professional for your project.